Boyle Energy has a convenient home heating oil payment plan to give you control over your household heating budget while offering you money-savings benefits. 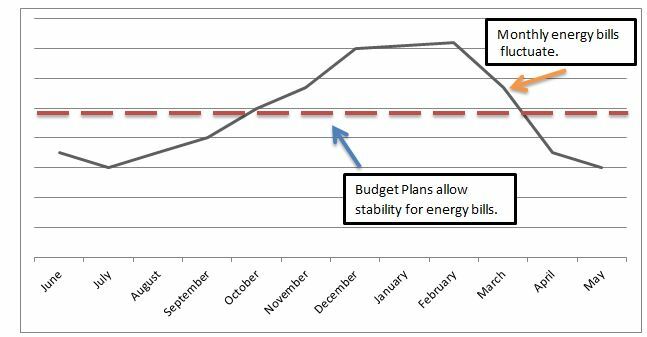 As you can see from this graphic, budget plans protect you from the spikes in energy bills over time, removing the unpredictability of today’s oil prices. Our Heating Oil Payment Plan gives predictability and consistency in what you pay throughout the year. This payment plan is often referred to as a budget payment plan since it helps you manage your budget and eliminates unexpected bills. Boyle Energy conveniently spreads out the estimated annual cost to of your heating oil over 10 equal monthly payments starting in August and ending in May. This way you are never caught off guard with a large bill for oil deliveries in the peak of winter. We can even include the cost of your service agreement in the budget monthly amounts. Boyle Energy’s Direct Pay Heating Oil Payment Program makes your heating oil payment more convenient. Direct Pay allows Boyle Energy to automatically collect payment from the bank account or credit card you designate- eliminating the chore of writing a check and mailing it each month. Payment is always easy and convenient. If you do not have Direct Pay you can pay by mail, phone, or online (using your credit card or bank account). Interested? Have a question? We at Boyle Energy are happy to help you with any questions you may have. Give us a call for more information on our payment plans. Boyle Energy can be reached at 610-446-2444 (Suburbs) or 215-878-1111 (Philadelphia).